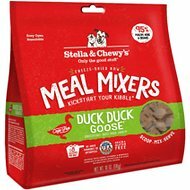 At Chewy, we know how meaningful your four-legged best friend is to you, which is why we only carry the best in dog supplies, including dog food, dog treats and dog toys. 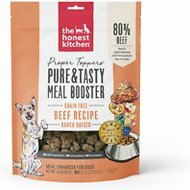 If you've been searching for grain-free dog food toppings, look no further. 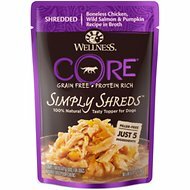 Among the wide selection we carry, one option to try is Wellness CORE Simply Shreds Grain-Free Chicken, Beef and Carrots Wet Dog Food Topper. 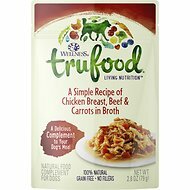 Key benefit: proudly made with no grain, meat by-products, wheat, corn, soy, artificial flavors, colors or preservatives. 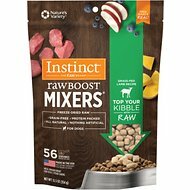 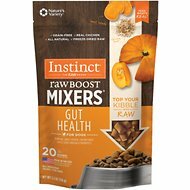 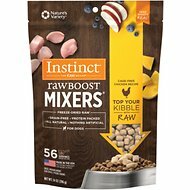 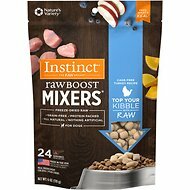 Another product is Instinct by Nature's Variety Freeze Dried Raw Boost Mixers Grain-Free Mobility Support Recipe Dog Food Topper. 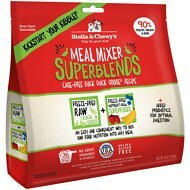 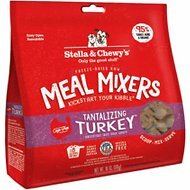 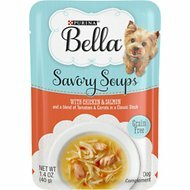 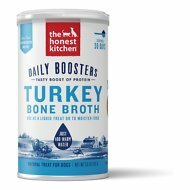 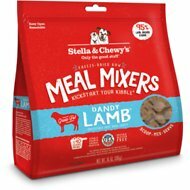 Key benefit: zero grain, corn, wheat, soy, potato, artificial flavors or preservatives so it's also great for dogs with sensitivities. 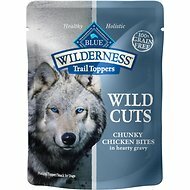 Chewy carries a wide selection of dog supplies to cater to your pup's wants and needs. 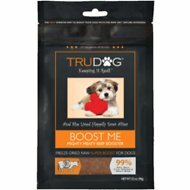 You'll only find best in product for dog food, dog treats, and other dog supplies! 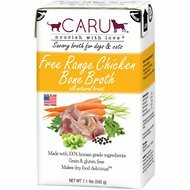 For all your pet needs including grain-free dog food toppings, Chewy has you covered! 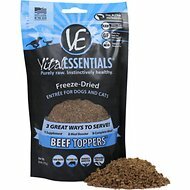 We're here for you.